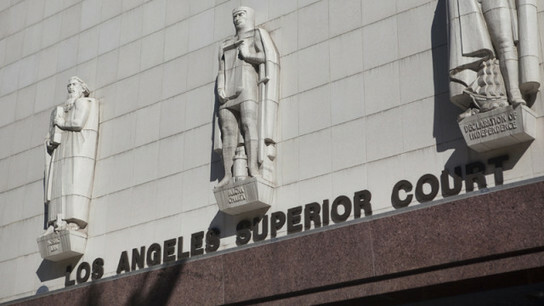 Los Angeles Superior Court Judge Rafael Ongkeko granted $209,670 to writer Carroll Cartwright on June 5, the same day he heard arguments on the motion for attorneys’ fees brought by Cartwright’s attorneys. He also ordered Blakley to pay Cartwright an additional $1,840 in associated legal costs. This was one of those cases. Ronee Sue Blakley found an attorney to pursue the case, it was met with an anti-SLAPP motion, and Blakley is now paying the price. Consider the theory of this case. Blakley dated someone for five years way back in the 80s, and 35 years later when said significant other wrote a screenplay about a fictional character, Blakley claimed the fictional character was based on her, and that the characterization was defamatory. I never understand this reasoning. I recently received a call from a woman who was convinced that a person portrayed as an incompetent parent on a popular sitcom was based on her. (She knew one of the writers, and felt that he was using her as a model.) But if she wasn’t an incompetent parent, then why would she think that other people would assume this incompetent parent was her? Even if the character was based on the caller, that is irrelevant unless the people watching the sitcom would understand the connection. The court in the Blakley case came to the same conclusion. The judge found that a reasonable viewer of the movie would not see any similarities between Blakley and the character. After granting the anti-SLAPP motion, the court awarded defendant $209,670 in attorney fees, representing 476 hours of attorney time. A high price to pay to take a run at such a thin claim.